It is estimated that 2 billion shipping pallets are in use every day in the U.S. alone, so it is inevitable that some lay abandoned. Why not use them to make something awesome? 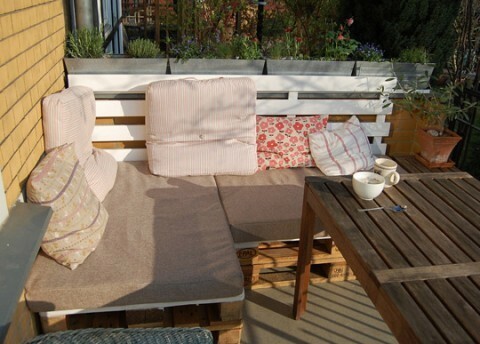 Following are 6 DIY pallet furniture ideas to add some pizzazz — and practicality — to your outdoor living space. Some of these might even enhance your indoor living space too! View the photo tutorial with all the steps required to build a simple pallet furniture table & chairs set. 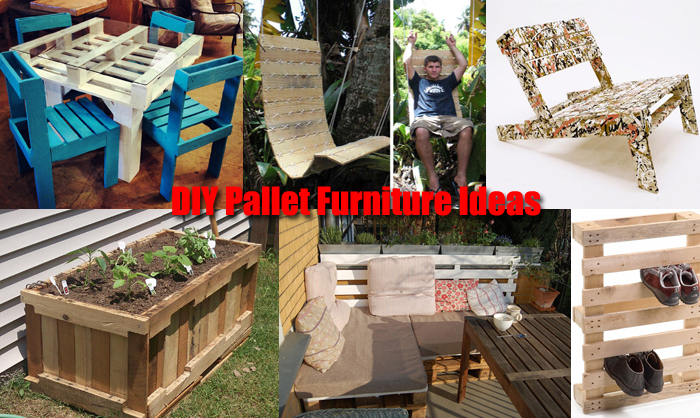 More DIY pallet furniture ideas. 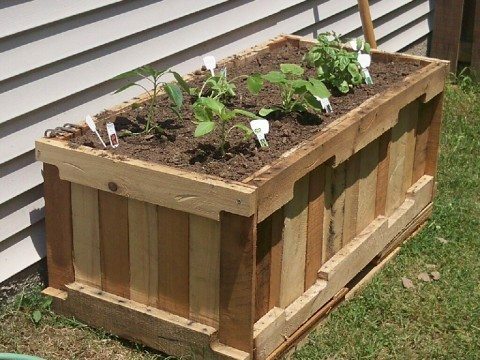 See how to make a pallet container garden yourself. More DIY container garden ideas using shipping pallets. 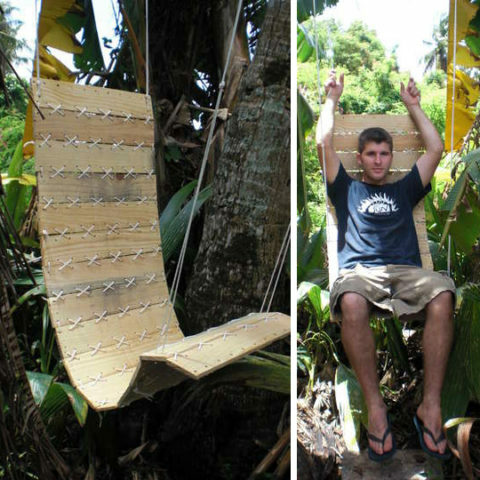 Here are the step-by-step photo instructions to make this pallet chair yourself. More DIY tips for building pallet chairs. 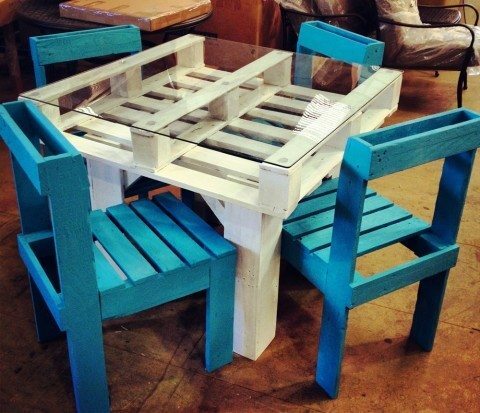 See the before and after photos for this patio furniture made from pallets. More tips for using shipping pallets to build outdoor furniture yourself. 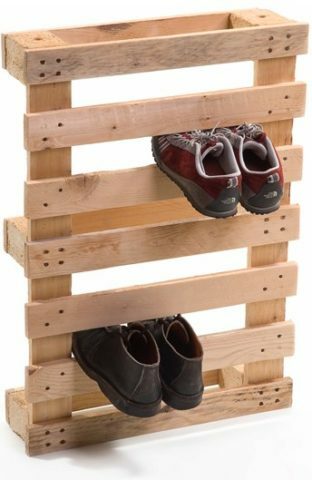 Here are the instructions to make a shoe rack from shipping pallets. More great ways to get organized using reclaimed pallets. See how to make this DIY pallet patio chair. More patio lounge chairs made from reclaimed shipping pallets.